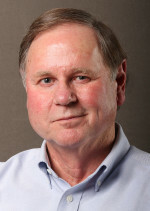 Professor Tyner is an energy economist and James and Lois Ackerman Professor of Agricultural Economics, Purdue University. He received his B.S. degree in chemistry (1966) from Texas Christian University, and his M.A. (1972) and Ph.D. (1977) degrees in economics from the University of Maryland. He has over 325 professional papers that have been cited 3,452 times. Of these there are 110 journal papers, books, and book chapters. His past work in energy economics has encompassed oil, natural gas, coal, oil shale, biomass, ethanol from agricultural sources, and solar energy. In June 2007, Senator Richard G. Lugar of Indiana named Tyner an “Energy Patriot” for his work on energy policy analysis. In 2009 he received the Purdue College of Agriculture Outstanding Graduate Educator award and was part of a group that received the College Team award for multidisciplinary research on biofuels. In 2013, he received the Agricultural and Applied Economics Distinguished Graduate Teaching award. In 2011, he served as Co-chair of the National Academy of Sciences Committee on Economic and Environmental Impacts of Biofuels.